Why (not) form an LLC in Nevada (or Wyoming)? Questions about forming a limited liability company (LLC) in Nevada (or, increasingly, Wyoming) come up so frequently that I feel compelled to write about this topic. There is something approaching the status of urban legend about the wisdom of forming an LLC in Nevada or Wyoming because they do not have an income tax. The problem is that lack of an income tax will benefit you only to the extent that you do business in in that state! Let’s say that you live, and intend to do business (in the legal sense – see Doing Business in CA? Be Sure to Register), in California, but you form your LLC in Nevada or Wyoming. Guess what: Because you are doing business in California, you will have to pay income tax in California. Furthermore, you will have to register your LLC in California as a foreign LLC. The result: You will not have escaped paying income tax. Furthermore, you will have to pay the two states’ annual business fees! Form your LLC in Nevada or Wyoming only if that is where you will be doing business. If you will be doing business in another state, that is where you probably should form your LLC. If you will be doing business in multiple states, work with a knowledgeable tax adviser. Multi-state tax issues can be tricky. Dana- thanks for this blog entry. One question- I thought that Nevada offers one very important advantage over CA in terms of forming an LLC- it gives more liability protection since the courts were more pro business. Is this not correct? 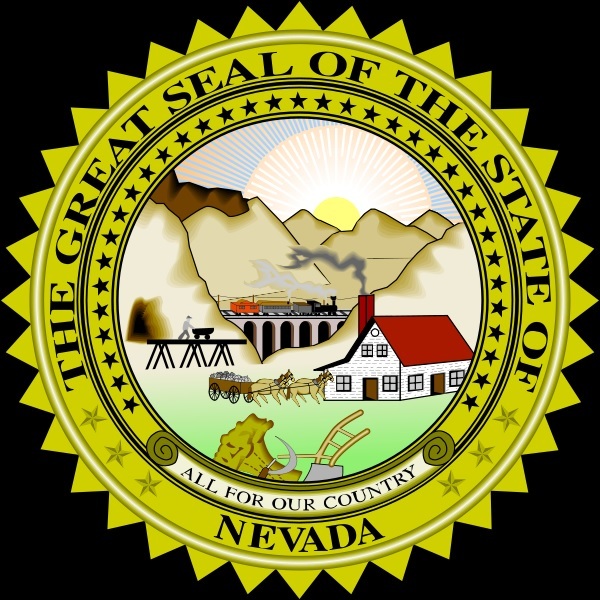 The sense in which Nevada is pro-business (in comparison to California, for example) is that it has low taxes and puts fewer operational burdens on businesses. But, as noted in my post, those benefits are relevant only to the extent that an LLC does business in Nevada – if the LLC is doing business in California, it is subject to California law. I know of no fundamental difference between Nevada and any other state with respect to the LLC providing protection against members’ personal liability for LLC obligations. This brings up a couple of questions. I am starting an llc/corp to sell software online (download only), which I expect to bring customers from around the globe. 1. Is there an advantage to Delaware over my home state, or even Nevada. Most business will not be done in my home state. 2. Is it possible to keep the members of an llc confidential? Does this differ by state? 1. As my post suggested, if you will have a lot of interstate activity, you should consult with a qualified tax advisor to determine where to form your entity. If tax considerations turn out to be inconsequential, you might as well form the entity in the state where its (principal) office will be located. 2. In CA, DE and NV, the members need not be identified; I am not familiar with other states, but you can find out easily enough be going to the Secretary of State website and looking at the applicable form for registering the LLC in that state. Please note that some states (such as NV) require that the manager(s) be identified; to the extent that any manager is a member, that member, thus, will have been identified. A follow up question, that is burning for me. Lets say the corporation is in Nevada and I form a DBA in California with the Nevada company as owner. How does the work? This mean all my business activities in California is under he DBA itself. I am not sure that was answered directly. If your Nevada company is doing business in CA, it must register in CA as a foreign corporation or LLC (as stated in the post). Then the *CA* entity (rather than the NV entity) applies for the fictitious business name/DBA (please see the post at https://danashultz.com/2010/02/26/when-should-i-apply-for-my-dba/ ). 4. Plus I think that the reputation and ability to get other people involved especially high level people in silicon valley will be easier to manage if I set up an entity in the US. So, my intention is to make this a very successful business which will eventually be acquired and may need funding, plus I want to get high quality directors and they will need stock in which case maybe I do need a C-corp.
Hmmm … hard to put it all together, but basically when thinking about it all, seems like I should go for a Delaware C-corp or an LLC. However it seems like this is a fight between better ability to get people involved and raise money for the c-corp and better taxation for the LLC. Re the state in which to form your entity: Form it where the company will be doing business. If Silicon Valley is important, then form and operate the business in California. Re balancing tax considerations against business considerations: Only you can make that assessment. I do not know how great the business’s tax burden will be, or how heavily that burden will weigh on you. Hi Dana, I’m going to be forming one or more single-member LLCs soon. I also may move to a different state in the not-too-distant future. The businesses won’t have brick and mortar locations. They’re services that I’ll provide remotely via the internet from wherever I reside. I’m wondering if my move to a different state would end up being simpler if I form the LLCs somewhere like Wyoming (not my current or future state) and foreign-qualify them wherever I end up residing (starting with my current state). As opposed to forming them in my current state and then taking the steps that would require when I move. I wouldn’t expect to gain any tax advantage by forming in Wyoming (or Nevada), I’m interested in it just for the purpose of simplifying future moves of my personal residence to different states. What do you think, is that likely to make it simpler? I gather that you will be doing business in the state to which you will be moving, so you might as well form the LLCs there. Hi Dana, thanks for your reply. The thing is, I don’t know which state I’ll be moving to. I just know there’s a decent chance I’ll be moving to some other state in the not-too-distant future. And I don’t know how long I’ll then be in that state. If it’s not much more work / cost to form something like a Wyoming LLC now, and if it would significantly simplify moving to a different state one or more times in the future, then I might be inclined to do it. If the extra work / cost involved would be prohibitive, or if it wouldn’t significantly simplify the moving process, then I might as well just form in my current state. I see no benefit from forming LLCs in a state with which you have no connection, so you might as well form them in your current state. Thanks for your feedback. I’m just concerned that if I form the LLCs in my home state and then move to a different state, it will be pain in the neck to either maintain the LLC in the original state and foreign-qualify it in the new state, or move it to the new state. And then if I move again, repeat the process. I wondered if there was some logic to forming in a state that can always be the home base for the entity. It will take no more effort to maintain an LLC in your old state than to maintain an LLC in a neutral state. It will take no more effort to register an old-state LLC in your new state than to register a neutral-state LLC in your new state. There is no need to move an existing LLC from the old state to the new state. If you move to new states multiple times in the future, you may end up with LLCs formed in multiple states – no problem. There is, near as I can tell, no principled basis for choosing a neutral state – largely because there is no benefit (that I can see) from choosing one. On the other hand, if you form each LLC in the state where you then are living, you will have, at the least, the benefit of minimizing formation costs and effort (no foreign registration) at that time, and of minimizing ongoing costs and effort with respect to that LLC so long as you continue to live in that state. Ok, thanks for explaining this to me — I’m very new to it and don’t want to do the easiest thing now only to have it be a mistake that comes back to haunt me later. But I’d certainly appreciate the greater simplicity and lower cost of just forming an LLC in my current state. I imagine that depending on the state where I form any given LLC, I might then have to file at least some sort of informational tax return even after moving out of the state and even if I don’t owe any money. But perhaps I’m mistaken about that or perhaps that’s less of a burden / expense (for tax prep) than forming in a neutral state. What if it is an internet company, which offers hosted software use subscriptions? Sales are to every possible state, and some international. I just recently moved to california from texas. All sales are online. I dont even want to handle sales taxes, which makes me think of delaware as well. Now that you are located in CA, you almost certainly will be “doing business” here (please see the post at https://danashultz.com/2010/05/24/doing-business-in-ca-be-sure-to-register/), so you might as well form your company’s legal entity here. If you will be selling to customers located everywhere, your company’s state of formation will not have a material effect on you obligation to collect sales tax. I have the same situation that Jorge describes: an interenet SaaS business with sales to multiple states. Furthermore, I won’t initially have any sales in my state of residence. Would it be advantageous to form my LLC/corp in Delaware or Nevada? If you form in DE or NV, you still will have to register as a foreign entity in the state where you are doing business, so you will have to pay two states’ annual registration fees. I am marrying an American and moving to Oregon which has the highest income taxes in the States. I have an international company where I consult and do sales and service all over the world including the U.S. (various states). Where should I register my business? From the purely legal perspective, I recommend forming the business in the state where you will be located (OR). In your situation, however – as noted in the post’s last bullet – because multi-state (and international) tax considerations are so tricky, you should consult with a qualified tax advisor (in OR). I recently lost a lot of income because of Arkansas’ new internet tax law, mainly Amazon.com refusing to allow affiliate partnerships with Arkansas residents and canceling our accounts. I do business online solely and have no physical location. Furthermore I have business partners that live in other states. I was hoping to form a Nevada S Corporation and operate my business in the “cloud” or internet and allow the S corp to pass through the shareholders incomes to their state of residence. MyCorporation.com has a mail forwarding service and I was hoping to use that address for my corporations for our bank account. Is this possible or even legal? I need to circumvent this internet tax law and remain an Amazon.com affiliate partner. I cannot provide a direct answer to your question, because I am not a tax expert and I am not familiar with Arkansas law. However, when a California-based entrepreneur contacted me recently with a similar idea, I concluded that it would not likely work (assuming the entrepreneur was honest), because Amazon cared about where he resided, which would not change. Please see “Re-incorporation Won?t Save Amazon Affiliate from Termination” at http://dana.sh/ri0nL2. We am considering forming a 3 person business partnership. Our business is online branding, marketing, ecommerce of nutritional supplements. We will not be producing the products, only marketing/promoting them. Each of the 3 partners live/work in a different state (California, Florida and Arizona). All of our business ad collaboration will be conducted online and remotely – each person works out of his home. Like most folks, in the early stages we would like to keep it as simple as possible. 1. should we incorporate ? 2. If so, LLP, LLC, etc ? And how do we decide where to incorporate? 3. If so, and we choose on of our home states, what would be the advantages/disadvantages for the person who’s home state we choose? I believe that this situation is best addressed from a tax, rather than legal, perspective. The three of you should retain a tax advisor who can take into consideration your personal tax situations, the business’s likely tax obligations, and the three states in question, then recommend the approach that will be most tax-efficient. 1) What about privacy? If I were to start a Nevada LLC, I could use a registered agent and not be personally identified or does signing up to operate as a foreign entity in California require you to reveal more than your registered agent? 2) For all practical purposes, wouldn’t it be more difficult to pursue collecting from a NV entity even if operating in Ca because it is more difficult to pierce the corp veil? 1. (a) A CA LLC can be formed with a third party designated as the agent for service of process, roughly equivalent to a commercial registered agent in NV. (b) A foreign LLC qualified in CA must provide the same information as a domestic LLC in the biennial Statement of Information (Form LLC-12). 2. To the best of my knowledge, superior protection against piercing the corporate (or LLC) veil is an urban legend and a scare tactic. Any competent business person who wants to maintain limited personal liability can learn what to do and what not to do (please see Beware Your Alter Ego). What if the business is an online web company delivering services across states and continents (US/EU)? 1. The business will be located somewhere, i.e., where the founder is (even if operating out of a home office). That location is where the LLC should be formed. 2. If there are multiple locations (e.g., because there are several founders), then tax considerations may drive the decision. « Ten Tips for Success in the U.S.